First, may we say that we sincerely appreciate the various initiatives you are taking to address the serious environmental concerns of Floridians. The reason for this open letter is this: the 5G roll-out across the state of Florida must be terminated. The deployment of 5G technology that’s taking place — WITHOUT INFORMED CONSENT— must be stopped post-haste. Quite frankly, we are extremely unhappy that we were compelled to write such a “demand letter” to you. In your capacity as governor, you are directly responsible for safeguarding the health and welfare of all Florida residents. In fact, the government of the state of Florida is statutorily tasked with the responsibility of protecting the residents from threats that cause bodily harm. Maintaining a statewide environment that is safe and healthy for all citizens is the primary purpose of government. Because of the inevitable and numerous adverse health effects of 5G that will be caused throughout communities from Pensacola to the Keys, we request that you immediately suspend the deployment of 5G. The mortality rate alone, which will be the direct result of 5G activation, ought to have required a moratorium on this highly misguided and downright dangerous project. 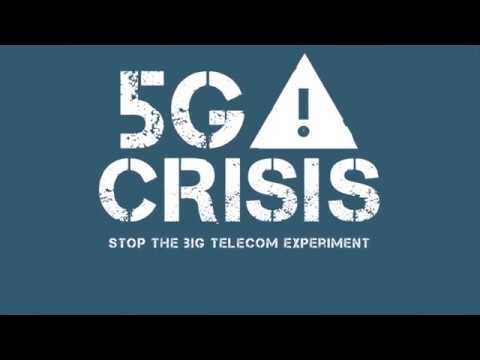 Governor DeSantis, did you know that none of the required testing has been conducted on this ongoing 5G roll-out in advance of its unlawful approval? Did you know that scientists and physicians, politicians and attorneys throughout the nation have registered formal complaints with the FCC in order to stop the illegal deployment of 5G? Did you know the state of Israel will not even permit the deployment of 5G despite the fact that this health-compromising technology was developed there? The bottom line is this: If you permit this 5G roll-out to proceed as planned, the residents of Florida will hold you directly accountable. Those individuals who currently suffer from Electro-hypersensitivity syndrome will predictably die from exposure to the soon-to-be pervasive 5G energy grid. They simply cannot tolerate the dangerous levels of EMF dissemination and microwave radiation and will succumb to early death. As governor, you will be held responsible for their preventable deaths. Likewise, many folks will become seriously ill and bed-ridden because of 5G; others will develop various diseases depending on their proximity to the 5G towers, antennae and neighborhood transmission equipment. Again, you will be held personally and professionally responsible for their physical debility and/or incapacitation. the social contract which you signed when you came into office. As previously stated, we are deeply troubled that such a demand letter should be written in the first place. Your administration ought to be acutely aware of the alarming facts stated on this missive. If they aren’t, they stand accused of gross dereliction of duty, criminal negligence, governmental malfeasance and official misconduct in their drive to roll-out 5G. In closing, our statewide network of highly concerned advocacy groups, businesses, NGOs, corporations, foundations, think tanks, brain trusts, research organizations, Alt Media websites, families and other affected residents will converge on Tallahassee as no other mass protest in Florida history to stop the 5G roll-out. When we say that the Florida State Capitol will be surrounded by a sea of angry protesters, we mean it, Governor! There will be no playing with the health and well-being of Floridians in 2019 and beyond. We the People have spoken…and we trust that you will respond appropriately. Mike Papantonio, Levin Papantonio Thomas Mitchell Rafferty & Proctor, P.A. Robert F. Kennedy, Jr., Of Counsel, Levin, Papantonio Thomas, Mitchell, P.A.